*New & Sealed* True Romance Director's Cut - Blu Ray (Region A IMPORT) Rare/OOP! True Romance [Region 1] - DVD - New - Free Shipping. Cracker : True Romance & White Ghost (DVD, 1999, 2-Disc Set) - FREE POSTAGE! True Romance [Region 2] - DVD - New - Free Shipping. True Romance (Director's Cut) [Region B] [Blu-ray] - DVD - New - Free Shipping. True Romance: Director's Cut [Region 2] - DVD - New - Free Shipping. True Romance - DVD Region 1 Free Shipping! 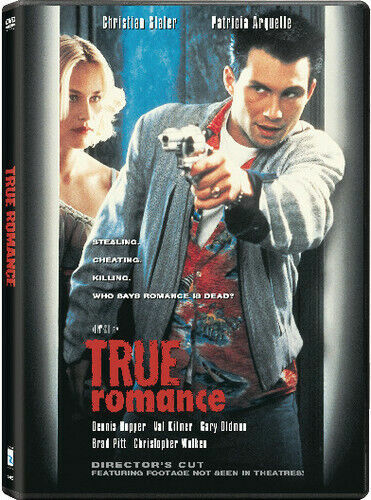 True Romance [Region 2] - DVD - Free Shipping. Good Condition.